Engelic Everett is a young entrepreneur who started her journey creating and selling self advocacy and inspirational themed apparel and accessories via the Double Diva Designs and iCan Clothing Company brands. 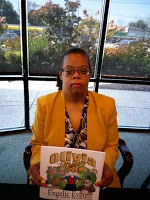 Engelic is also a published playwrite and author and is currently promoting her first children's book, Olivia the Bully. Copies of the book will be on sale at the Expo.